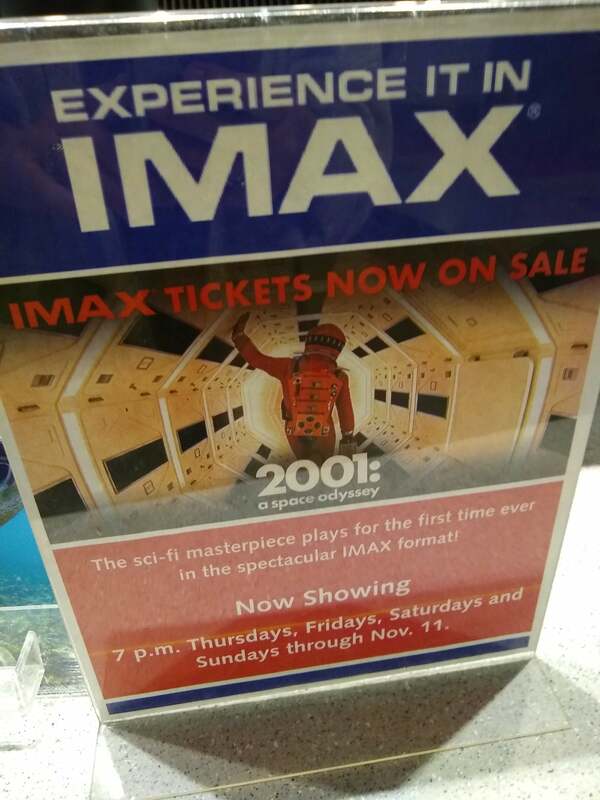 My Odyssey with 2001; see it in IMAX through November 11! 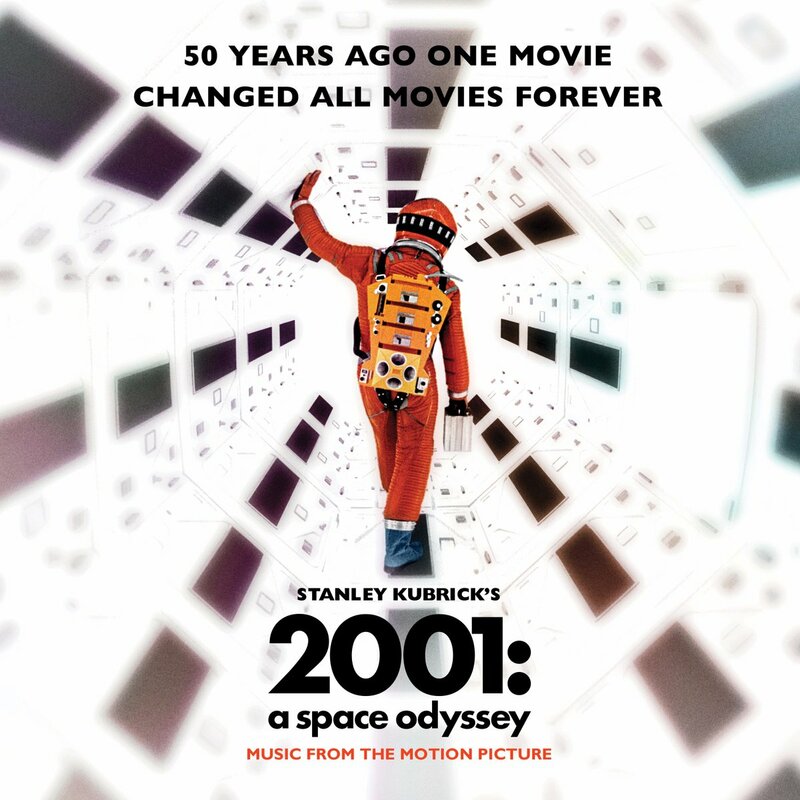 I wasn’t born yet when Stanley Kubrick’s 2001: A Space Odyssey changed the world, but thanks to the Maritime Aquarium at Norwalk, I was able to experience what it must have been like to be there—and I even got to meet the film’s star, Keir Dullea! 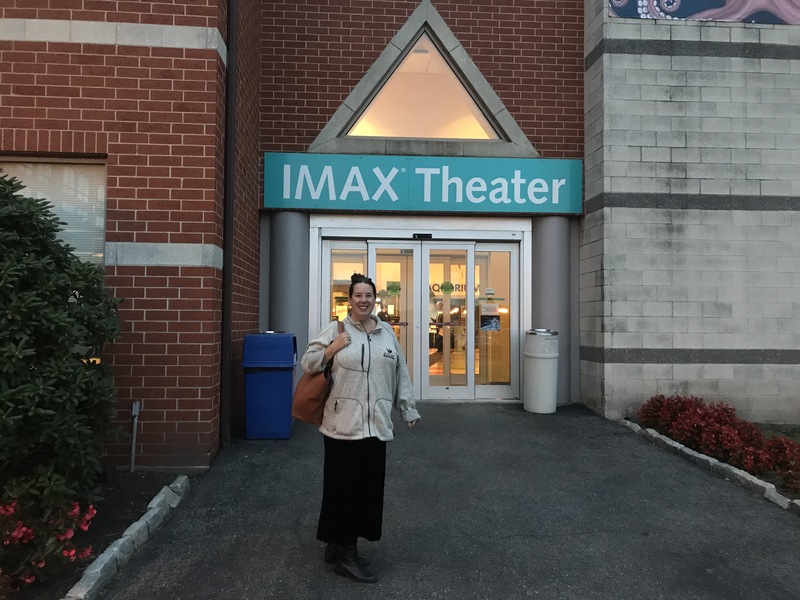 Me, outside the IMAX theater entrance at the Maritime Aquarium at Norwalk. When my housemate, Charles, heard this was coming, he was excited…not that he hadn’t already been to a few showings in New York and elsewhere this year already. But it is a film that had a profound affect on him. He saw it multiple times when it opened in 1968, and he not only has the program that he bought the first time he went to see the film, he has other ephemera as well. And there was also something special about this presentation in particular. GLOBAL BIG DAY IS SATURDAY! A hermit thrush perches in our back yard, April, 2018. There was quite the snafu trying to get this bird id’d (ovenbirds and hermit thrushes can look really similar to an unpracticed eye like mine), but an Ebird expert came through. Photo by Nathan Schoonover. If citizen science appeals to you and you love birds or have always wanted to have an excuse to start birdwatching, this Saturday, May 5, is a golden opportunity! Global Bird Day is a “virtual” event in which participants take as little as 10 minutes in their favorite spots—even in their backyards—and count the number of birds and species. Participants then log what they’ve seen in Ebird. This effort is important, because it shows the ornithologists at Cornell a real-time snapshot of which birds are where—especially now, when we are in spring migration, which got off to a late start due to the colder-than-normal weather patterns. Participating is easy; you can do as little or as much as you want, and a free Ebird account takes just a couple of minutes to set up. You can download an app, too, if you prefer—but you don’t have to. You can do it the old fashioned way, like I do: take a notebook and a pen and record it later. Nathan and I are hitting up four locations; the first one will be easy, because it’s our back yard (thanks to 18 feeders, we get 14 species on a slow day). We’ll head up to hike a few miles through Audubon Bent of the River in Southbury, visit the nature preserve behind our favorite cemetery in Bridgewater (we’re hoping for lots of water species), and spend the remainder of the day at another preserve in Brookfield. If you’d like more information on how to participate, visit https://ebird.org/news/global-big-day-5-may-2018. If you’ve got Kentucky Derby or Cinco de Mayo invites (we do), those are probably at the end of the day, so you can still do both! Don’t miss out! 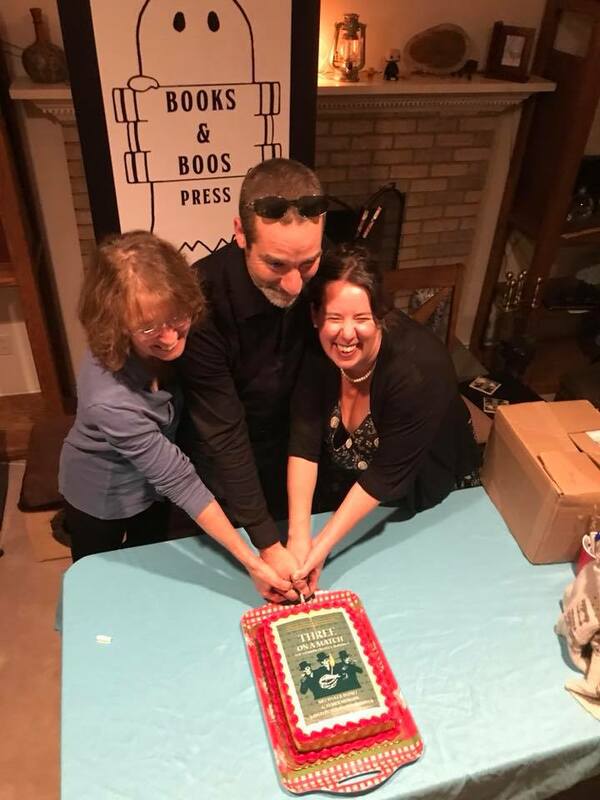 THIS WRITING LIFE EPISODE 10: DAMNATIONLAND is up! 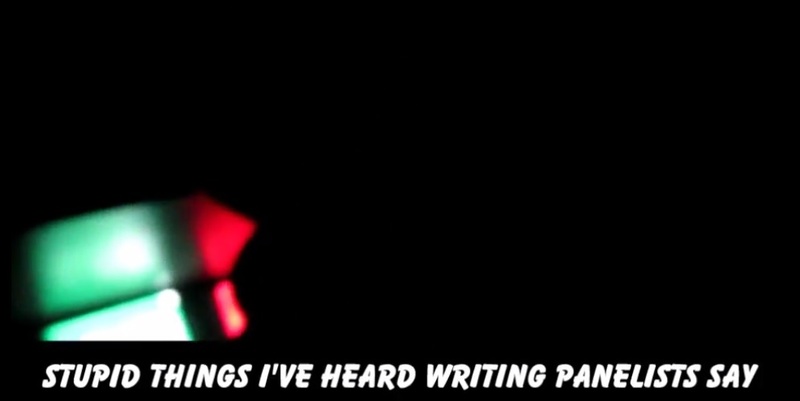 This episode of This Writing Life road trips to Portland, Maine! There’s a raptor in my mailbox! Our tickets for Jurassic World: The Exhibition came today! Super excited that Nathan and I–along with our friend Bruce Shillinglaw (MAJOR paleontology nut! )–will be going to Jurassic World: The Exhibition at the Franklin Institute in Philadelphia in April. 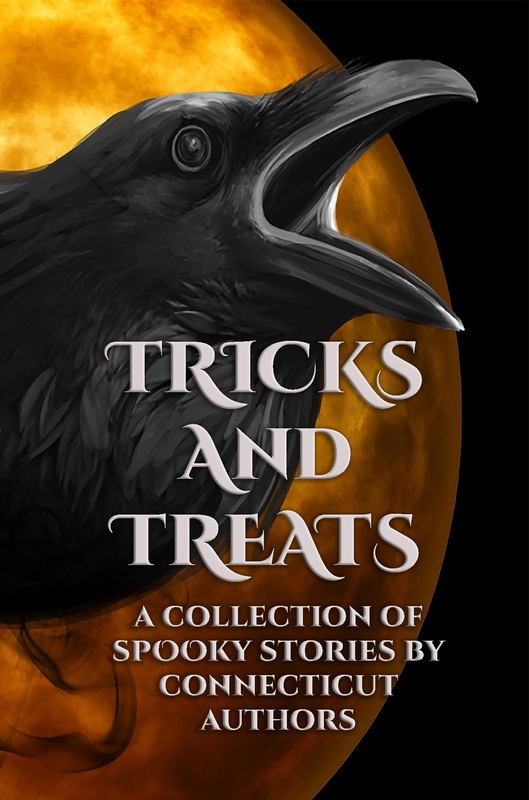 My story “Crawl” now available in TRICKS AND TREATS, signings slated, check out the trailer! Sometimes babysitting on Halloween in a centuries-old house isn’t a good idea. 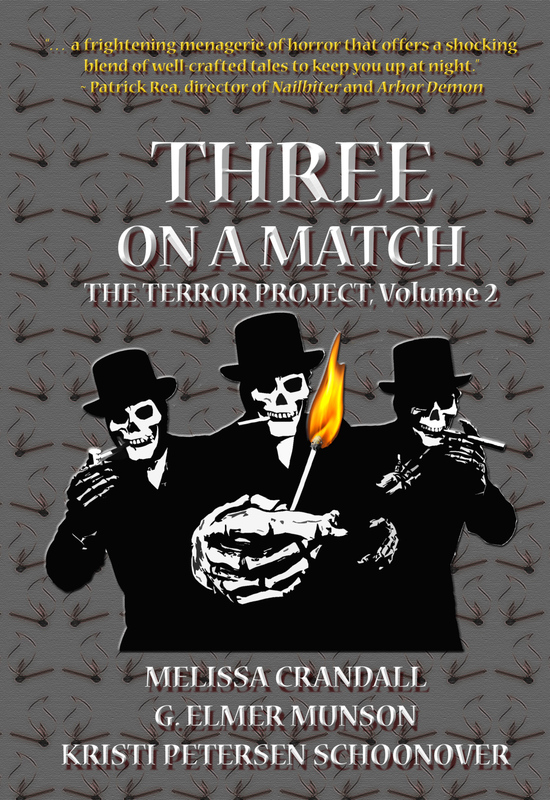 With a Foreword by writer Rob Watts, also in the collection are stories by Connecticut writers Stacey Longo (Amston), Melissa Crandall (Hebron), G. Elmer Munson (Vernon), Dan Foley (Manchester), John Valeri (Portland), and Ryanne Strong (Norwich), but what makes this collection really stand out is the appearance of a couple of lesser-heralded creepy stories by Mark Twain, Harriet Beecher Stowe, and Charlotte Perkins Gilman. Twain’s rarely-discussed “The Californian’s Tale” is a ghost story (of sorts) that’s really about the nature of grief, while Stowe’s framed narrative (very typical of the ghost stories of the time) is one with a moral bent. Gilman’s “The Giant Wistaria” (a personal fave of mine) is only one of three ghost stories she wrote; the other two, I believe, are “The Rocking Chair” and “The Yellow Wall-Paper.” “The Giant Wistaria” pre-dates her infamous “The Yellow Wall-Paper,” for which she’s most known, and it, too, has early feminist themes. It’s atmospheric and disturbing. Finishing out the book is John G.C. Brainard’s poem “Maniac’s Song.” Brainard was a poet and lawyer who was born and lived in Connecticut in the late 18th and early 19th centuries. Come and meet the (still living, ha!) writers and hear some samples to whet your appetite for the spooky at a couple of pre-Halloween readings/signings! We’ll be at the Whiton branch of the Manchester library (N. Main Street) in Manchester, CT (http://library.townofmanchester.org/) on Monday, October 24, at 6:30 p.m. We’ll also be at Bank Square Books in Mystic, CT, on Wednesday, October 26, from 6 p.m. to 9 p.m. Here’s hoping I see you there!